View current convention info - below we have details for our Savannah 2019 convention and then below that our info on our Toronto 2019 convention portions that are open to the public to attend like our June 20 library event. The Toronto Reference Library Nancy Drew Event on June 20 is NOT CLOSED - and is OPEN to the public--no registration required. Visit this link to learn more about the library event and scroll down below for more info. Bookmark this page and check back often for updates. Scroll past the current convention details below to see where we are going in the future and also view information on our past conventions. Interested in Attending? Are you a member of the media interested in profiling us? E-mail us at sleuths@ndsleuths.com if you want info on the convention or want to be on our e-mail list for updates and information about it. 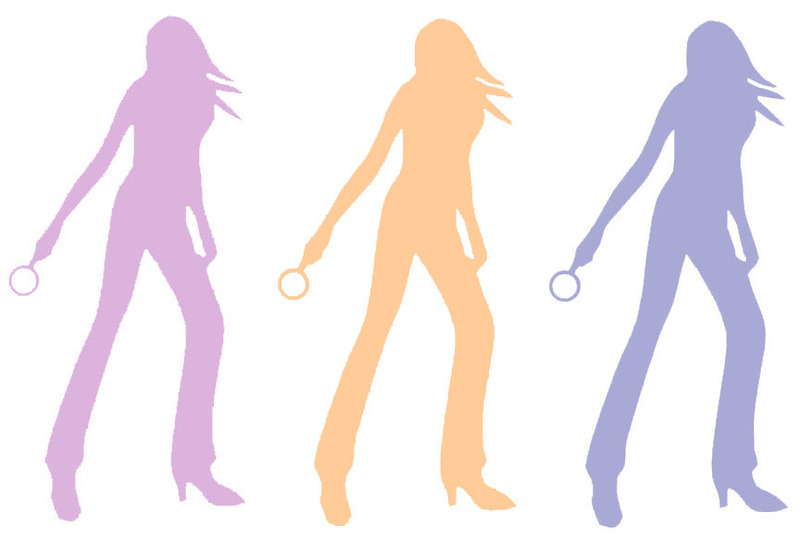 Our mission is to walk in Nancy Drew's footsteps each year at our conventions. 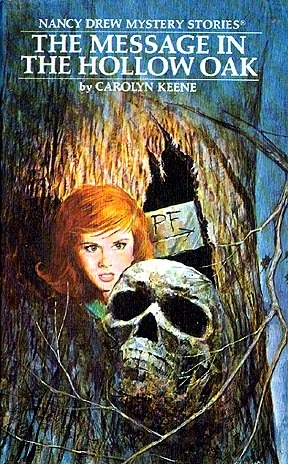 We select a theme book--one of the classic 56 hardcover Nancy Drew books printed from 1930 to 1979--that is set in a real location and we do things that Nancy Drew and her chums did in the books. This adds that nostalgic flair to our conventions so they're much more special than a generic location! While we may not chase villains down dark alleys or sleuth for secret passageways (yet! ), we do manage to mix real-life locations with book hunting and activities based on the mystery in the theme book(s) for a fabulous event of mystery and "mayhem." The convention is a great time for series book collectors to meet, trade books and stories, and hunt for missing books from their collection. Conventions are open to anyone--you don't have to be a member of our group to attend. For more information on our conventions, check out our Convention FAQ Page. Register To Attend Our Conventions...June 19-22, 2019 - Toronto, Canada and October 23-26, 2019 - Savannah, GA - below we have Savannah listed first and then Toronto details and public library free event info below that. For more information on our conventions, check out our Convention FAQ Page. CONTACT US here with questions! Member of the Media? If you wish to contact us about the convention please do so! 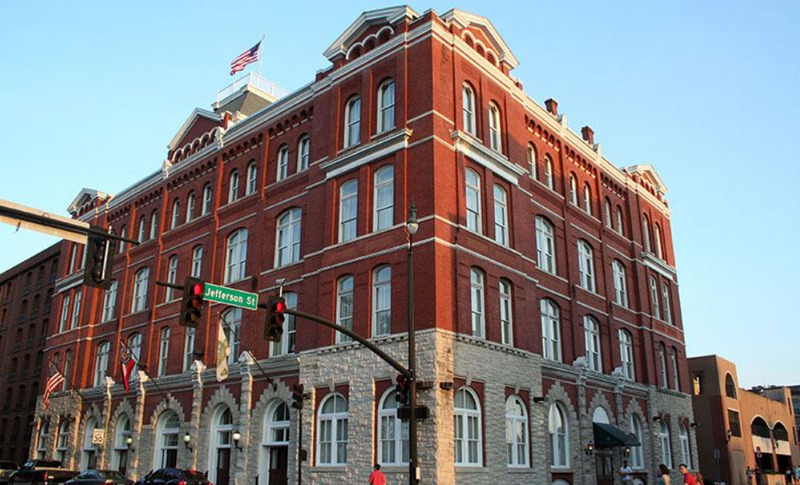 Savannah, GA Convention Hotel: Hotel Indigo - 201 W. Bay St., Savannah, GA 31401. Standard Rooms - 10/23 and 10/24 are $179/night. 10/25 and 10/26 are $209/night. They are also extending the $179 rate for a couple of days prior/post convention for anyone coming in early or staying a little later. An additional 13% tax per night plus a City Occupancy Fee of 1.00 a night and a State Hotel/Motel fee of 5.00 per night. Parking at the hotel is $30 per night with in and out privileges. 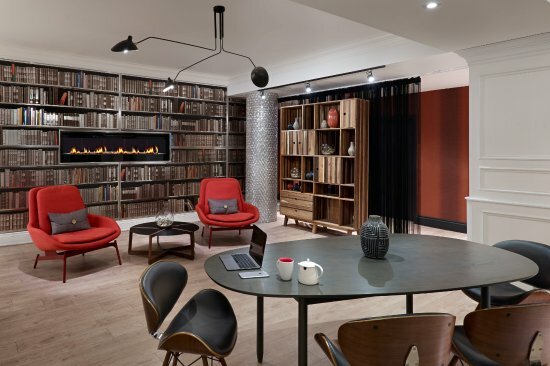 You may click on this online booking link to book online but PLEASE NOTE: Once you click on the link, then scroll down and click on "Book Now" and the group code NDS will automatically filter in. Make sure to change the CHECK IN and CHECK OUT dates to the days you'll be staying to receive the contracted group rate. Select the desired room type. Select the Rate to continue and enter information to book the reservation. OR, call their number at: 912-236-4440 and mention Nancy Drew Sleuths or group rate NDS. The cutoff date to book and get a room in the convention rate block (unless the block fills up fast and early) is Wednesday, September 25, 2019. AIRPORT INFO: Savannah/Hilton Head International Airport. For most visitors, this will be the most convenient airport to fly to if you are visiting Savannah. It is the main regional airport used to reach Savannah and the nearby cities and resorts of Tybee Island, Hilton Head, parts of coastal Georgia and lower South Carolina. TRANSPORTATION INFO: We do not arrange your ground transportation for you. So, what you need to do for ground transportation to/from the hotel is check that section of the airport website (link above) to see what is available. You can also check with the hotel to see what is recommended. 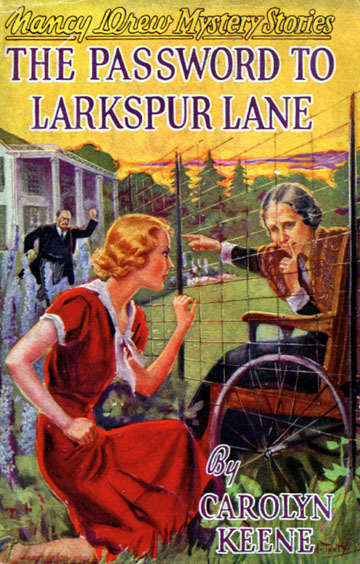 Theme Books: The Secret in the Old Attic, The Password to Larkspur Lane & the Nancy Drew Ghost Story, The Ghost Dogs of Whispering Oaks. 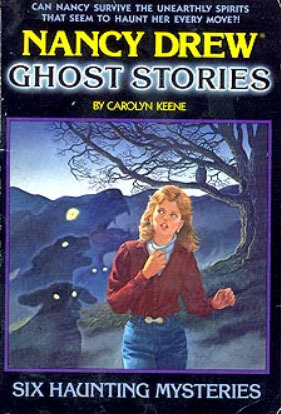 The Her Interactive Nancy Drew Computer Games: Ghost Dogs of Moon Lake and The Ghost of Thornton Hall. 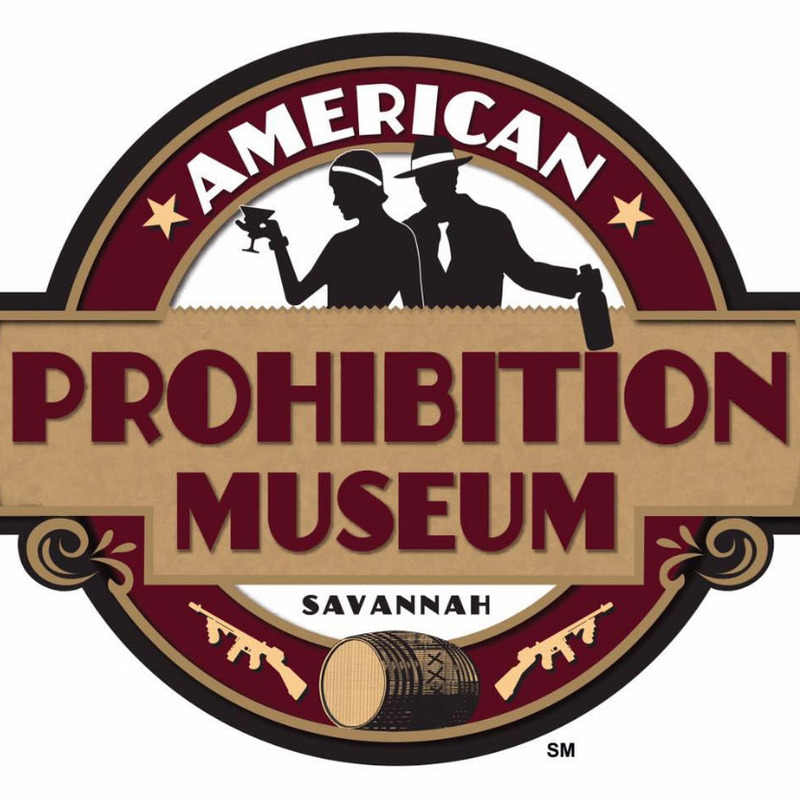 Area sites we'll be visiting include historic downtown Savannah, where our hotel is located plus Books on Bay Bookstore, Bonaventure Cemetery, Trolley Ghost Tour around the downtown area and the Prohibition Museum and 220 Up Speakeasy. THEMES: The Secret in the Old Attic, The Password to Larkspur Lane & the Nancy Drew Ghost Story, The Ghost Dogs of Whispering Oaks. 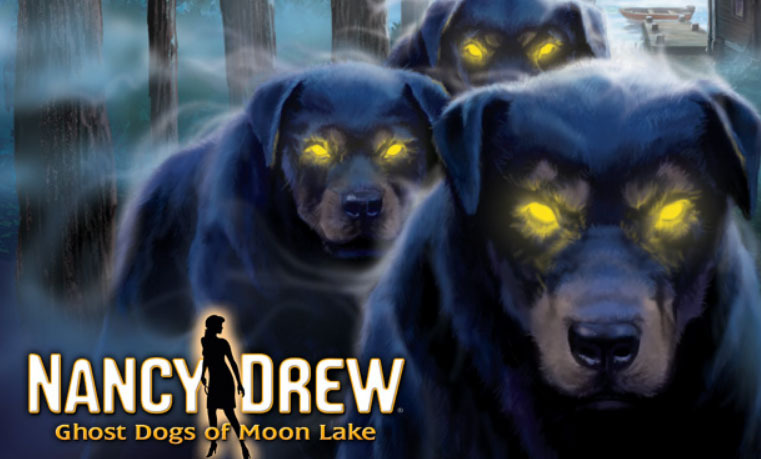 The Her Interactive Nancy Drew Computer Games: Ghost Dogs of Moon Lake and Ghost of Thornton Hall. Wed. Oct. 23 - In the Garden of Thornton Hall - Meet & Greet Party with desserts and cash bar at the Hotel Indigo - 7pm-10pm. Thurs. 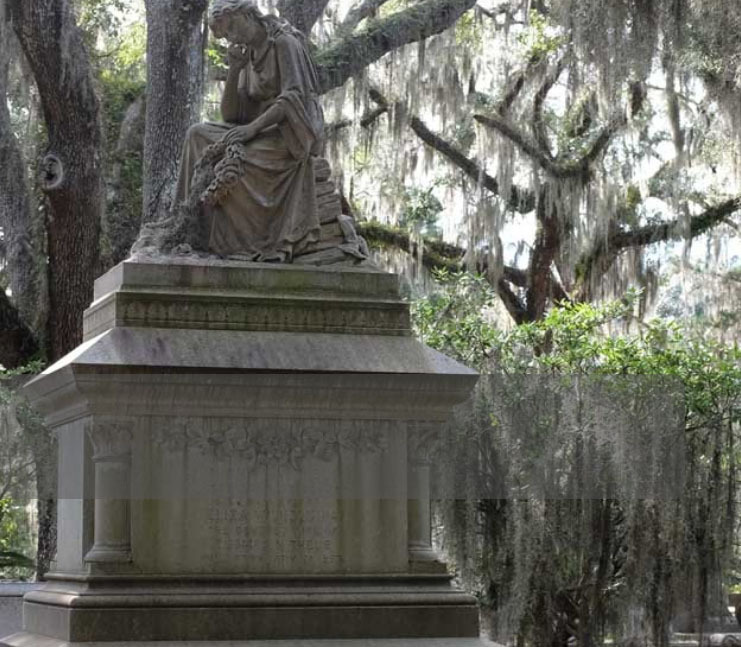 Oct. 24 - 1pm Spooky Sleuth Survivor Competition, 2pm Bonaventure Cemetery Tour & Nancy Drew & The Password Larkspur Lane Speakeasy Soiree at the Prohibition Museum & 220 Up Speakeasy 7pm-10pm. Fri. Oct. 25 - 10am Books on Bay Bookstore Event & Nancy Drew Scavenger Hunt; Free Time; Early Evening Dinner TBD 5pm-7pm; Optional Evening Trolley Ghost Tour. Sat. 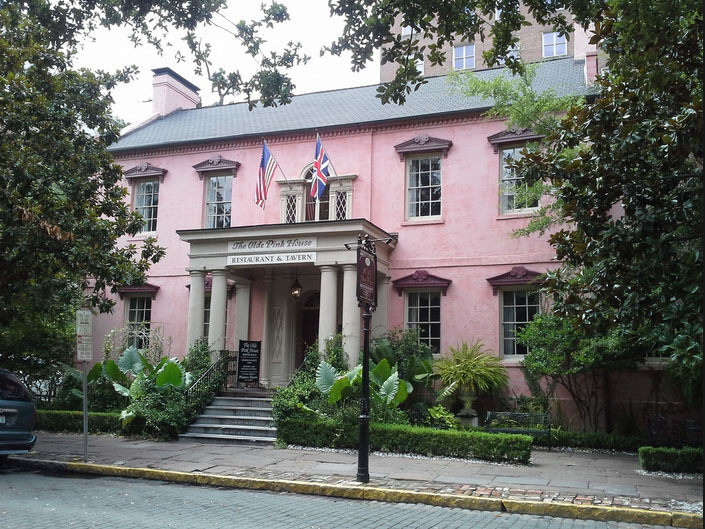 Oct. 26 - 9:30am-Noon - Nancy Drew & The Hidden Staircase Convention Event & Nancy Drew Raffle at Hotel Indigo, Nancy Drew Trick or Treat Exchange; Free Time; The Secret in the Old Attic Mystery Dinner at The Olde Pink House 7pm-10pm. HOW TO REGISTER:You must pay the fee and fill out and mail in (or e-mail) our Registration Forms to be officially registered. Our registration form is a PDF file that is printable: Click here for the form. If you want to download the Word version, fill it out and then e-mail (or snail mail) it to us, click here for the Word version. 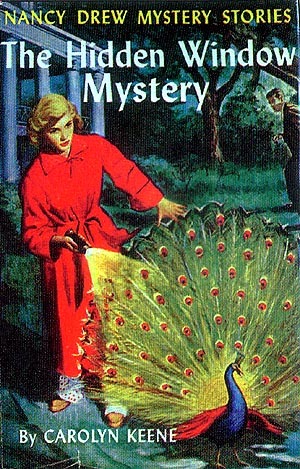 Send via e-mail - sleuths@ndsleuths.com - or mail to: Nancy Drew Sleuths, P.O. Box 128, Higley, AZ, 85236-0128. Make checks payable to: Nancy Drew Sleuths. Registrants help pay for the convention costs including but not limited to: parties & activities, any provided meals noted, any tours provided and entry fees, equipment/room rentals, convention planning services, decorations, printing costs, advertising, goody bag supplies. Our registration fees are quite reasonable when you consider the format of our convention We have a travel and tour style convention where you are following in Nancy's footsteps and doing things she did in the convention theme books and other related themes. If there is an activity or set of activities you cannot do or wish not to or someone attending with you only wants to attend certain things, please contact us (sleuths@ndsleuths.com) via e-mail for an adjusted total on what to pay for your registration. REGISTRATION FEE INCLUDES: Registration Fees include ONLY THE FOLLOWING - depending on whether you do basic registration or add in the optional things: Convention Admin Fee, Goody Bag & Info Packet/Name Tag; Library Book Donation Fee; Wed. Meet & Greet Party w/ Desserts & Activities; Thursday Sleuth Survivor Competition & Bonaventure Cemetery Tour; Thursday Speakeasy Mystery Dinner Soiree; Optional Friday Evening Ghost Tour; Saturday Nancy Drew Convention Event; Saturday Old Attic Mystery & Dinner Event. Meals Included: Wed. M&G - Desserts, Thurs. 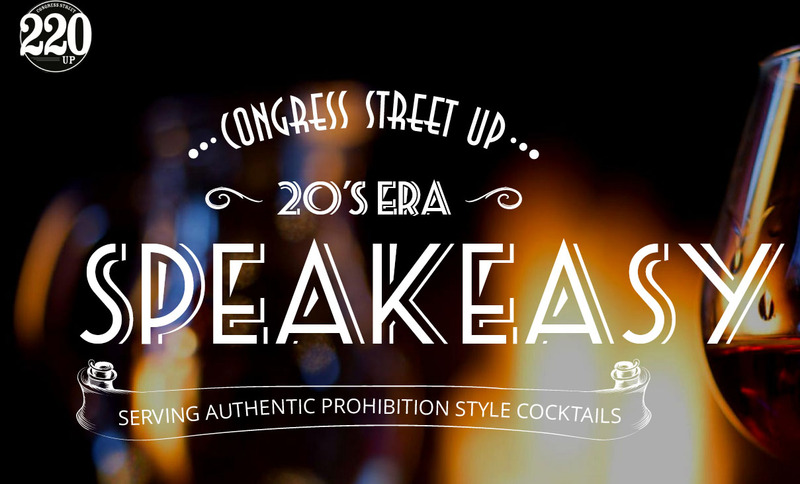 Speakeasy Dinner, & Sat. Mystery Dinner. REGISTRATION FEE: Fees are NON-REFUNDABLE. You can pay half when you register, then final by 8-1-19. See our registration forms for all the details. We use Square to accept/run charges. You may write your credit card information on your registration forms or you can pay for your registration online at our Square Shop. If you pay at the Square shop, you still need to e-mail or snail mail us your registration forms. 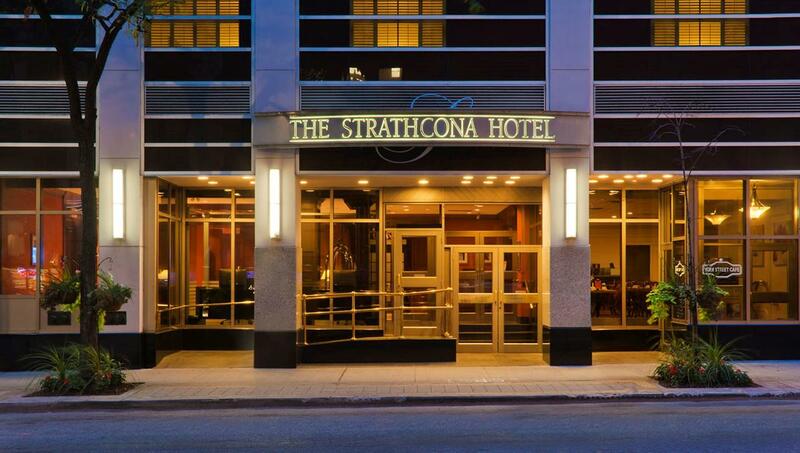 Toronto Convention Hotel: The Strathcona Hotel - 60 York St., Toronto, ON M5J 1S8, Canada. PLEASE NOTE AS OF 11/12/18, WE ONLY HAVE 4 MORE ROOMS IN THE BLOCK AT CONVENTION RATES. 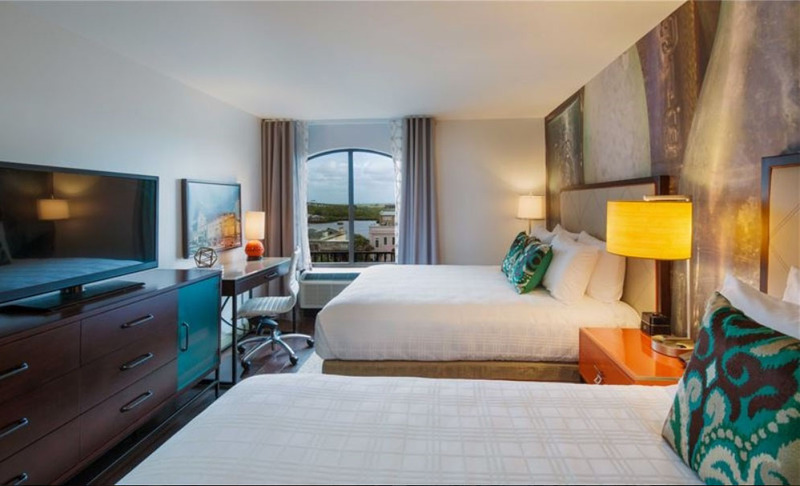 AN ADDITIONAL 10 ROOMS - STANDARD WITH 2 TWINS OR 1 QUEEN HAVE BEEN ADDED AT $229/NT + TAXES CANADIAN. ONCE THESE ARE FULL WE MAY NOT BE ABLE TO ADD MORE TO THE BLOCK. Rates are based on single/double occupancy. $20 additional for each extra person in the room per night. They do not have a parking garage/lot but there are some nearby or you can do valet via the hotel for $39/night. Parking is expensive in downtown Toronto, so keep that in mind if you are driving. If you are unfamiliar with exchange rates, when you travel outside of the US, when you convert your US $ to your host country's currency, there's an exchange rate. So for the example above, it only takes 151 US dollars (as of 8/13/18) to pay for 199 Canadian. Conversion rates fluctuate, the above quoted Canadian dollars of 199 and 229 will not change - so those prices are locked in, the exchange rate will determine how many US dollars those translate to when you travel. If you are in other countries, you can use an exchange calculator online to figure out your conversion rates. You may click on this online booking link to book online or call their toll free number: 1-800-268-8304 or the direct line 416-363-3321 and request �Nancy Drew Convention� or group code �705470� for the group rate. The hotel will also extend the rate to pre/post convention days if you're coming in early or staying a little longer. TRANSPORTATION INFO: We do not arrange your ground transportation for you. So, what you need to do for ground transportation to/from the hotel is check those sections of the airport websites above to see what is available. You can also check with the hotel to see what is recommended. Theme Books: The Message in the Hollow Oak & Danger on the Great Lakes. 1995 Nelvana Nancy Drew & Hardy Boys TV Shows (filmed in Toronto). #90, The Puzzle at Pineview School. 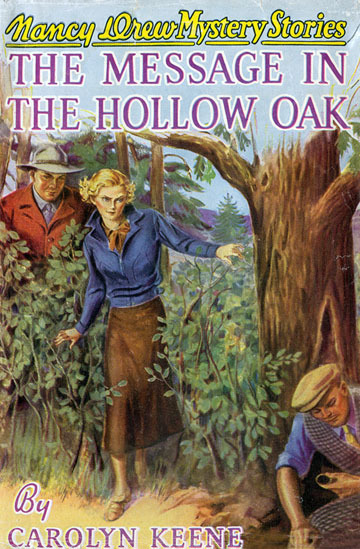 Hollow Oak was revised, so be aware we are using the 1934 version with 25 chapters. The revised version of 20 chapters became an all new story. In the original, Nancy wins a contest and ends up winning land in Canada. Nancy and her chums travel to Canada and along the way discover there may be hidden gold on the property. Nancy's mystery helps reunite lost loves as well. 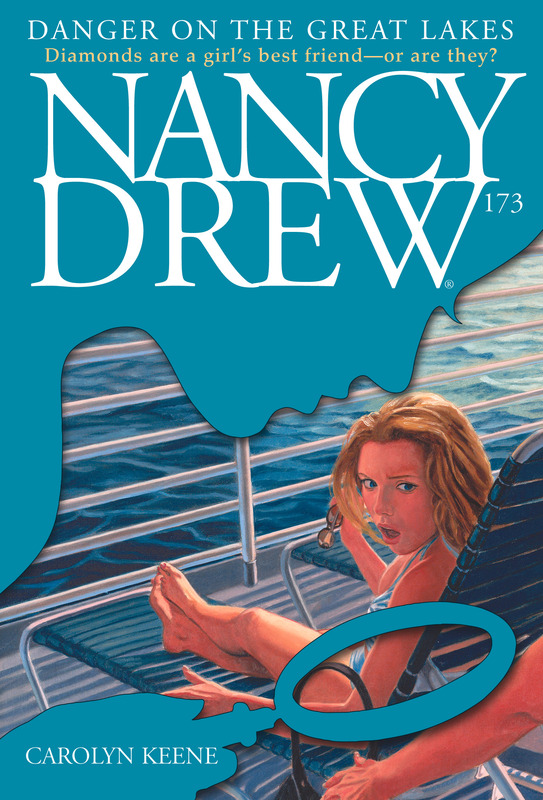 THEMES: Nancy Drew #12, The Message in the Hollow Oak (original 1934 text - 25 chapter version), Nancy Drew Digest paperback #173, Danger on the Great Lakes, & the 1995 Nelvana Nancy Drew and Hardy Boys TV Shows. 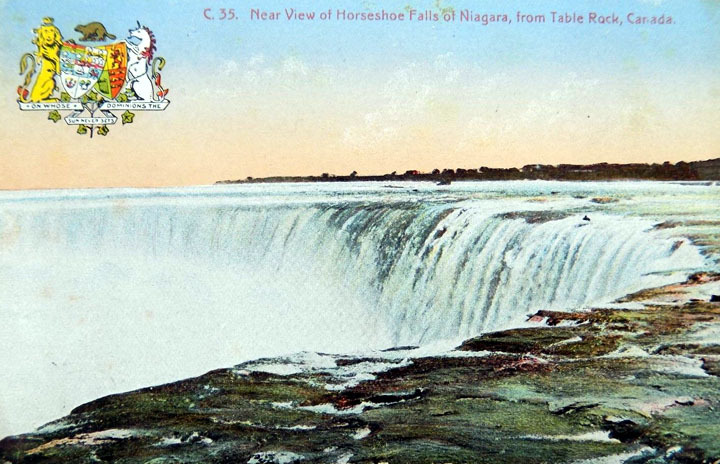 Nancy also visited the Niagara Falls area in book #90 The Puzzle at Pineview School. Wed. June 19 - Meet & Greet Party with desserts and cash bar at the Strathcona Hotel. Thurs. 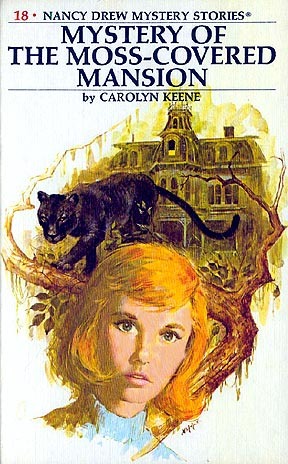 June 20 - Morning: Toronto Library Event with Nancy Drew Presentations + Broadway Nancy Drew Play Preview & Performance. 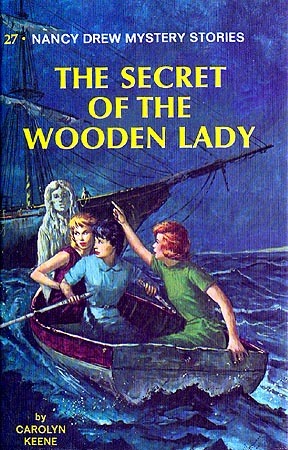 Donation of Vintage Nancy Drew Hollow Oak book to the library for their collection. Toronto Reference Library, Arthur Conan Doyle Collection. 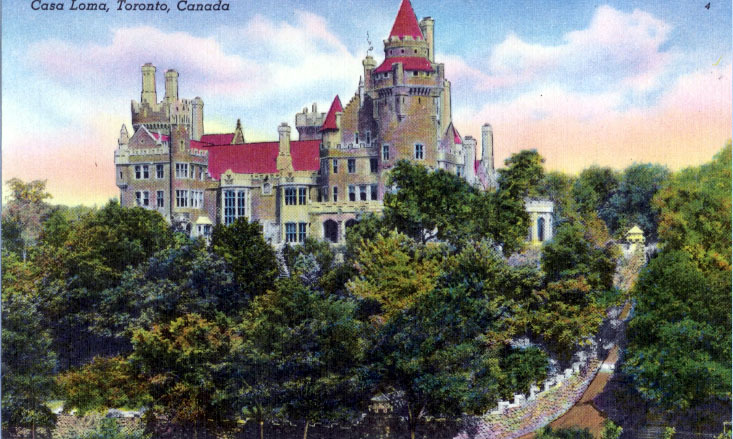 Afternoon: Nancy Drew Clue Game & Tour/Free Time at Casa Loma. Evening/Dinner: Swiss Chalet. Fri. June 21 - All Day/Evening: Optional Day trip to Niagara Falls including stops at the Hardy Boys 1995 TV Show House, the Nancy Drew/Hardy Boys Neighborhood Watch Signs, the Floral Clock on the way to Niagara Falls. Free time and on your own for sightseeing and lunch - there are a ton of activities you can do at the falls including shopping, ziplining, a boat cruise right up to the falls and so much more - check out the possibilities at the Niagara Falls Tourism website to plan your day. Group dinner at the falls. Then evening return to the convention hotel. If you forgo this option, you'll have the day to explore on your own. THIS OPTIONAL EVENT ALL BOOKED UP. Sat. 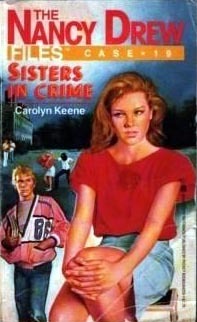 June 22 - Morning: Optional Walking tour in downtown Toronto of the 1995 Nancy Drew & Hardy Boys TV Show sites starting from the Strathcona Hotel and ending up at the CN Tower. Free time following. 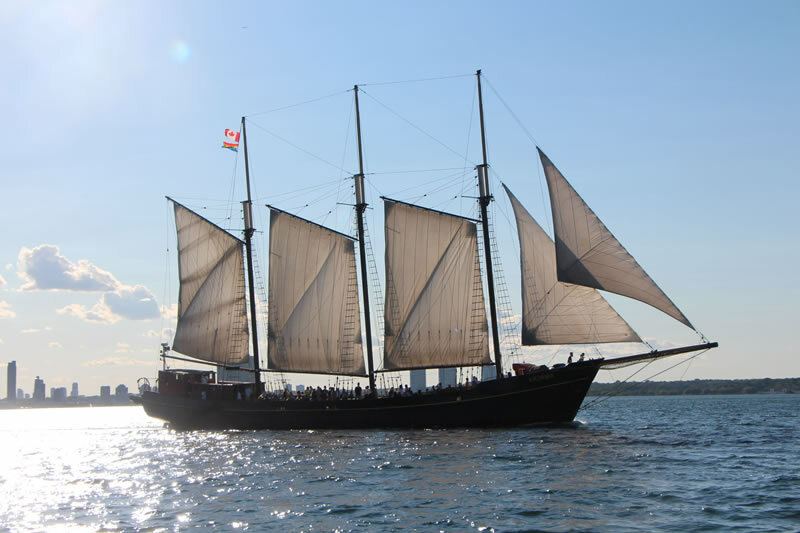 Afternoon - Optional Schooner Boat Cruise. Evening: Nancy Drew Mystery Dinner at the Fairmont Royal York Hotel. THIS OPTIONAL EVENT ALL BOOKED UP. Nancy Drew Gift Exchange - Depending on the number of registration attendees, this will take place at our M&G or at the Mystery Dinner - stay tuned for updates! HOW TO REGISTER:You must pay the fee and fill out and mail in (or e-mail) our Registration Forms to be officially registered. Registration is in US Dollars only. REGISTRATION IS NOW CLOSED FOR OUR TORONTO CONVENTION, HOWEVER, SEE BELOW FOR INFO ON OUR FREE LIBRARY EVENT OPEN TO THE PUBLIC. LOCAL TO TORONTO? We are hosting an event at the Toronto Reference Library (789 Yonge Street, Toronto, ON M4W 2G8) on Thursday, June 20 from 9am to Noon - this is a FREE event, open to the public - NO REGISTRATION REQUIRED. We will present a variety of topics on Nancy Drew and her mysterious history and collecting as well as have merchandise and books for sale. 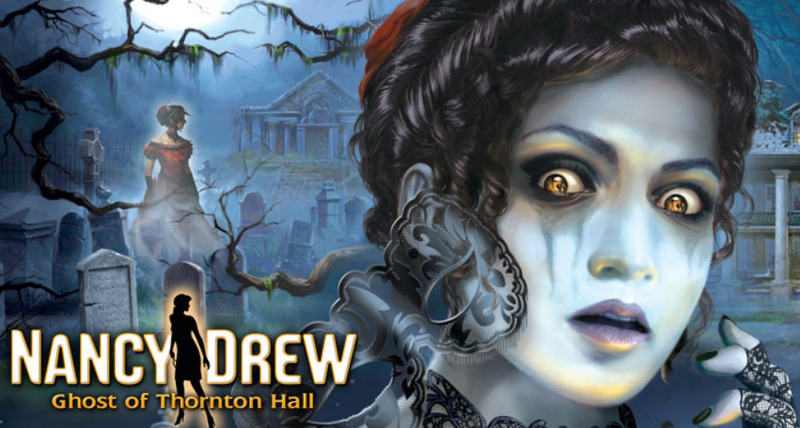 Get Cool Nancy Drew Convention Stuff! Our 2019 goody bags won't be created until later this year closer to each convention - we usually have books, games or journals, and more convention theme goodies which are not pictured since we put these together after our registration deadline passes. Deadline to purchase a Savannah, GA convention goody bag is August 1, 2019. Cost is $45ea which includes priority mail ship. If outside the USA, contact us for additional shipping to add in: sleuths@ndsleuths.com. 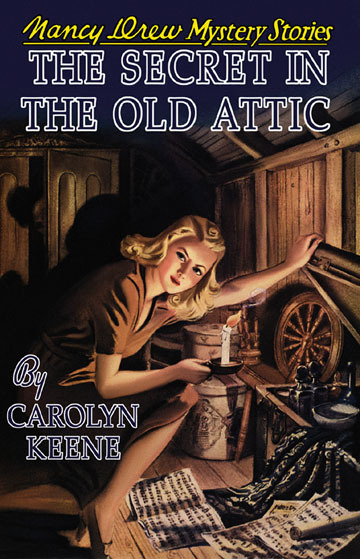 Send check or money order to Nancy Drew Sleuths, P.O. Box 128, Higley, AZ 85236-0128 or request we invoice you via Pay Pal by e-mailing us. We also sell lots of other fun Nancy Drew merchandise in our Cafe Press Nancy Drew Shop. Photo Copyright 2001, J. Fisher, All Rights Reserved. March 2001: Toledo, Ohio. Members met the original "Carolyn Keene," Mildred Wirt Benson, and had books signed and asked lots of questions. They toured sites of Toledo, went book hunting, and ate dinner at a haunted restaurant. April 2002: Iowa City, Iowa. Members visited The University of Iowa to view Mildred Wirt Benson's archives of photographs, outlines, letters, columns, stories, and ephemera. 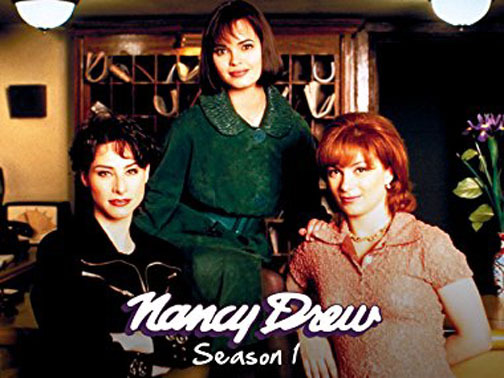 They visited with the organizers of the 1993 Nancy Drew Conference, held at the university, Carolyn Stewart-Dyer and Nancy Tillman Romalov and presentations were given. A trip to Ladora, Mildred's hometown, to view her childhood home and meet her family was a wonderful experience for all who attended. April/May 2003: New York City, New York. Members spent a week touring sites of New York including Stratemeyer themed sites. 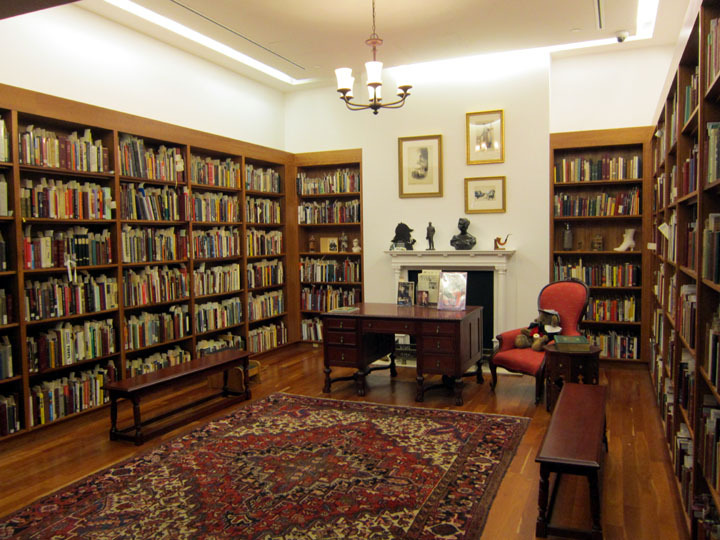 Visits to the New York Public Library Stratemeyer archives were met with enthusiasm of members who got to delve into Stratemeyer Syndicate lore. Highlighting the week's activities and book hunting was a visit to a book dealer's home with thousands of series books and a local collector's huge Nancy Drew® collection spanning books, collectibles, and artwork. Capping off the week was a successful day of presentations from the Stratemeyer family, the Russell H. Tandy family, Simon & Schuster, Applewood Books, and Sharon Reid Harris. March 2004: New Orleans, Louisiana. Members spent the week visiting historic and haunted sites in the French Quarter and outer lying areas, Nancy Drew® theme sites mentioned in the books set in New Orleans, went book and antique hunting, joined in on a crawfish boil and BBQ at a local collector's home, visited a historic plantation, attended a Nancy Drew® murder mystery party aboard a "haunted showboat" on its dinner and jazz cruise, and attended a day of presentations from Sleuth members Sharon Reid Harris, Todd Latoski, Meredith Jaffe, Rachel Smith, and presentations by Simon & Schuster and Gumshoe Girls. October 2005: Phoenix, AZ. Members were treated to a Shadow Ranch and Kachina Doll Nancy Drew® theme during their week in Phoenix, AZ. Highlights include: Meet and Greet Dinner, Ghost Town tour and Dirk Valentine Treasure Hunt, Western Dinner, Kachina Doll collection tour, book hunting, Kachina Doll dinner and mystery hunt at "hacienda", tour of Jenn Fisher's collection, day of presentations from: Garrett Lothe, Renee Walker, Jenn Fisher, and Dean Burcham, book dealers set up. Game play of life size version of Nancy Drew® Mystery Game from the 1950s. Lots of prizes given out and trivia contests. 3 Goody Bags given out. 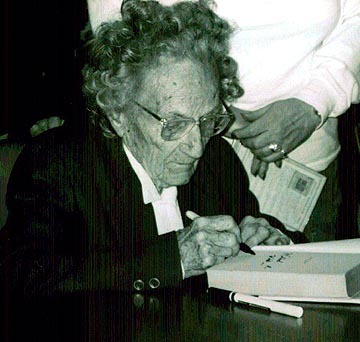 The Nancy Drew 75th & Stratemeyer Syndicate 100th Anniversary Conference was held June 16-19, 2005 in NYC, with a few Sleuth events. For details on the conference, click here. October: 2006: Chicago, IL. Members toured "River Heights Country" while solving mysteries at Red Gate Farm and found a Hollow Oak treasure! Activities included: All Day Bus trip of book hunting, antiquing, visit to a real life Red Gate Farm, Hollow Oak treasure hunt, Sleuth Madonna's Red Gate Farm party, Chicago sightseeing, visit to the American Girl Store to view Nancy Drew® book on display, Danger on the Great Lakes dinner cruise on Lake Michigan, presentations at the Chicago Children's Museum, a Chicago Style Deep Dish Pizza dinner, a Joker's Revenge game, and a fun Nancy Drew® theme gift exchange. June: 2007: Pasadena, CA. 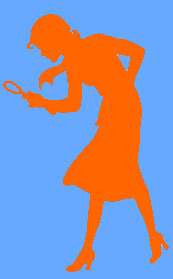 The Sleuths had their first movie & TV theme convention, timed to the release of the Warner Brothers movie, Nancy Drew. Members toured the Huntington Library and viewed some sights where the Nancy Drew® movie was filmed, went book hunting, and played a Nancy Drew® cover art game. 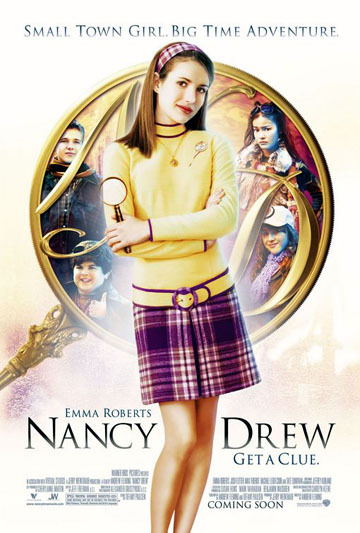 On the day of the movie's release, members held a Nancy Drew® 101 event at the Burbank Public Library, toured Warner Brothers Studios, and saw the Nancy Drew® movie. The Sleuths held their big convention day at the Pasadena Hilton and featured 7 speakers on a variety of topics, had book and merchandise sales, and that evening held a special 1930s Nancy Drew® murder mystery party complete with skits, a prize, and a fun Nancy Drew® theme gift exchange. A tour of Dave Farah's collection and BBQ was a highlight! Sept-Oct: 2008: Bird-in-Hand, PA. The Sleuths headed to Witch Tree Country for a fun-filled convention! Members visited Hershey, PA and had their photos printed on chocolate bars, went book hunting and antiquing and found a few goodies, toured Amish farms, quilt shops, and went on a Witch Tree Clues Hunt. A hayride and a ghost tour were especially fun! Members spent a day in historic Philadelphia touring sights around Independence Square and those that Nancy visited in the SuperMystery, A Question of Guilt. A dinner at City Tavern complete with Revolutionary War era costumed servers was a treat. The Sleuths held their convention day at the Bird-in-Hand Family Inn complete with speakers: Author Jennifer Fisher, Nancy Drew Files Artist Tricia Zimic, Author Penny Warner, Crafty Sleuth Lea Fox, and Author and Professor Michael G. Cornelius. Dinner was a special smorgasbord and that was followed by a "barn dance" complete with our crafty Nancy Drew gift exchange, some singing, and a raffle for neat Nancy Drew prizes. 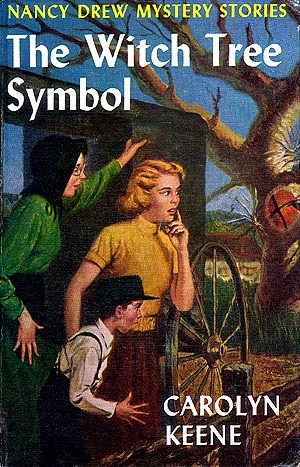 And no one was hexed or accused of being a witch like Nancy in The Witch Tree Symbol! Sept-Oct: 2009: Las Vegas, NV. Nancy Drew Sleuths followed in Nancy Drew's footsteps in Las Vegas and around the Valley of Fire State Park where the classic Nancy Drew book, #52 The Secret of the Forgotten City was set. A 70s disco style Nancy Drew meet and greet party was held to kick off the convention. Members bused to the Valley of Fire to compete in a Sleuth Survivor challenge--George Tribe won reward! A visit to the Lost City Museum just like Nancy and her chums in the book was informative and provided great background material for the book and Harriet Stratemeyer Adams who researched there in person before writing the book. Members completed a CSI: Nancy Drew mystery challenge complete with miniature crime scenes. Our big convention day featured 40 local fourth grade girls who were excited to learn more about Nancy Drew. Speakers Jennifer Fisher, Lea S. Fox, Dean Burcham, and guest of honor David Farah rounded out the event along with a Nancy Drew scrapbooking session. A 1940s Old-Time Vegas Gangster Mystery Dinner Party capped off the week's events including a festive Nancy Drew gift exchange. April 6-10 & April 11-15: 2010: Merritt Island, FL and Cruise to Bahamas. Nancy Drew Sleuths held their 10th annual convention and an 80th anniversary cruise! Members followed in Nancy Drew's footsteps around Merritt Island for our Moss Mansion theme. We held parties at the homes of area collectors, attended a professional Nancy Drew trivia show, book hunted, visited NASA, toured an orange grove, lunched at Historic Cocoa Village, toured 2 treasure museums, visited Cocoa Beach Pier, hosted our annual convention with speakers, activities and a charity raffle to benefit the Merritt Island Public Library. Our honored guest was Nancy Drew illustrator Rudy Nappi. Members attended a Mystery dinner costume party and held our annual gift exchange. Following our land event we took a 4 day Carnival Cruise from Port Canaveral to the Bahamas for the 80th anniversary of Nancy Drew. We held events on board, went sightseeing in the Bahamas, and held a convention day at sea with honored guests Rudy Nappi and Carolyn S. Dyer and a Nancy Drew costume party plus a fun scavenger hunt. March 30 - April 3, 2011: Charlottesville, VA. Members attended this 11th annual convention by following in Nancy Drew's footsteps around Charlottesville for our Hidden Window theme. We held a festive meet and greet, visited Monticello, Michie Tavern, Ash Lawn-Highland, Seven Oaks, held an event at the local library with Nancy Drew ghostwriter Alison Hart, participated in a stained-glass craft activity, book hunted, went on a ghost tour, and held our annual convention day with speakers and a charity raffle to benefit the local library. Members attended a 50s/Clue theme mystery dinner costume party and held our annual gift exchange. March 19 - March 25, 2012: Phoenix, AZ. 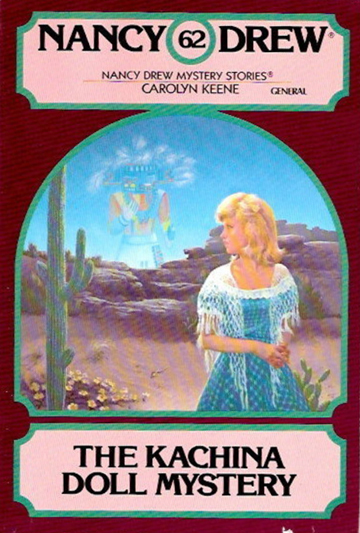 For our 12th annual convention with our Kachina Doll Mystery and Shadow Ranch themes, we hosted a sub-convention - Sleuth Con, an all series book convention. Members stayed at the Gold Canyon Resort and spent the first part of the week touring around the Phoenix area viewing Jenn Fisher's collection, book hunting, Scottsdale house party, book discussion at the Poisoned Pen Bookstore in Scottsdale, visited a ghost town and took part in The Amazing Case challenge, took a cruise on the Dolly Steamboat at Canyon Lake, and had a chuckwagon dinner at the Rockin' R. Ranch. The latter part of the week found guests solving a mystery with clues to hunt for around the resort and we hosted 3 days of presentations and activities culminating with our western theme mystery dinner party and annual gift exchange. May 28 - June 2, 2013: Boston, MA. For our 13th annual convention with our Wooden Lady theme, we visited the Boston, MA area to tour local sights including local used book stores, The Wayside Inn, Louisa May Alcott's home, Sleepy Hollow Cemetery, a vintage collection tour of a local collector, spent the day in Spooky Salem, MA and went on a ghost tour and clipper ship ride, and spent a day in Boston with historic sites and a clambake on Thompson Island. Our convention day of speakers included our Guest of Honor, Nancy Drew illustrator, Ruth Sanderson who we presented with our Honorary Sleuth Award. Rounding out our week was our mystery dinner party and annual gift exchange. Jun 2 - June 8, 2014: San Diego, CA. For our 14th annual convention with our 70's TV Show Theme & Assorted Classic/Paperback Nancy Drew mysteries, Nancy Drew Sleuths sleuthed around San Diego for a fun-filled week. Members held a mystery theme meet & greet, took a trolley tour of San Diego, went on a ghost tour at the Whaley House Museum, visited the San Diego Zoo, toured a local collector's home, had a 70s Nancy Drew & Hardy Boys TV Show Bash with TV producers Arlene Sidaris and Joyce Brotman and actors Pamela Sue Martin and Parker Stevenson. 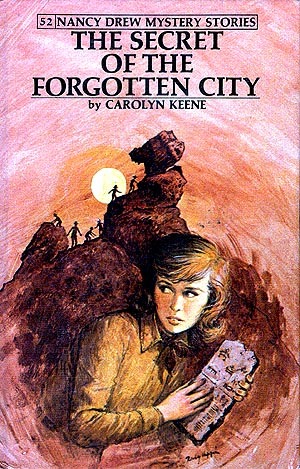 They held a 3-day convention featuring Nancy Drew and other similar series books full of speakers, merchandise and evening events including an old-time radio show, cruised on the Bahia Belle, and held a 1930s Nancy Drew "Sleuth Punk"/"Steam Punk" Mystery dinner which included the annual Nancy Drew gift exchange. April, May, June 2015: Iowa City, IA; Toledo, OH; and Maplewood, NJ - 3 Historic Nancy Drew Mini Cons. 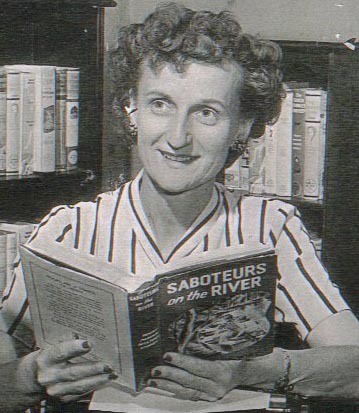 2015 celebrated the 85th anniversary of Nancy Drew and the 110th anniversaries of Mildred Wirt Benson (original Carolyn Keene) and the Stratemeyer Syndicate. 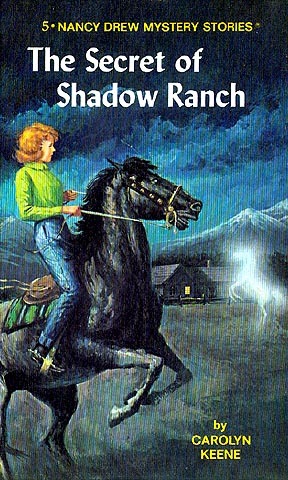 It was also the 15th anniversary of Nancy Drew Sleuths. We celebrated these anniversaries with historic mini conventions set in places related to the history behind the mystery and those who created Nancy Drew. Our IA convention was also our River Heights convention complete with a River Heights day set in Muscatine, IA along the Mississippi River. We helped sponsor and dedicate a Literary Landmark at the Toledo Public Library to Mildred Wirt Benson for her books and series including Nancy Drew. In NJ, we celebrated the Stratemeyer Syndicate with tours to Syndicate related sites including the lovely Bird Haven Farm, owned at one time by the Harriet Stratemeyer Adams. We hosted library events at each convention and donated sets of Nancy Drew books to each library. April 20 - April 24, 2016: New Orleans, LA. For our 16th annual convention with we returned to New Orleans, a fan favorite to laissez les bon temps rouler! 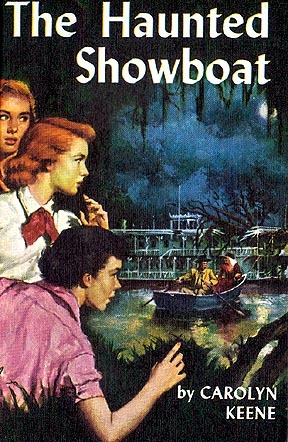 We hosted a meet & greet event, took a roadtrip to Cajun Country with plantation and swamp tours, our Sleuth Survivor event, crawfish dinner, hosted a library event at the New Orleans Public Library and donated a full set of the Nancy Drew books to the library. 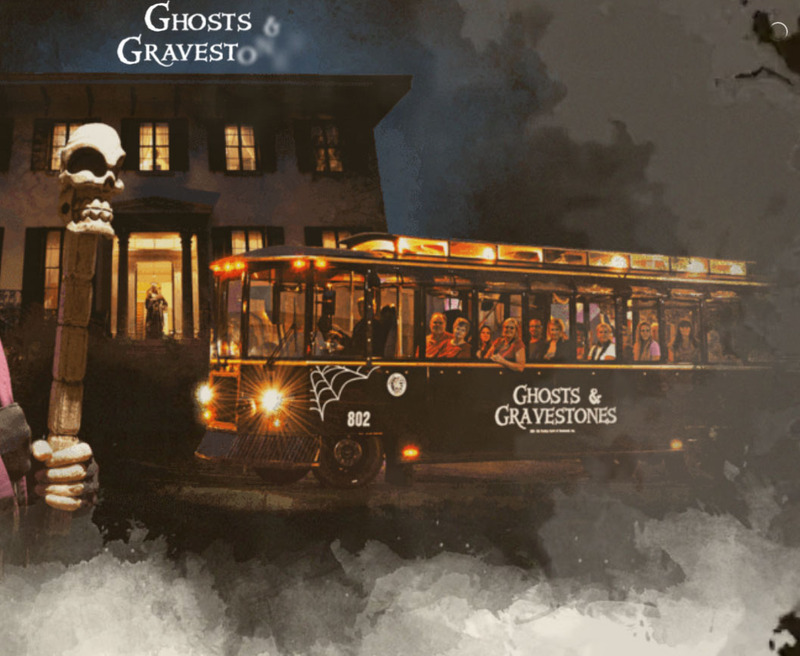 A trip to the French Quarter would not be the same without a ghost tour! We cruised on the Natchez steamboat and held a masquerade mystery soiree at Antoine's Restaurant. October 12 - October 14, 2017: Ogunquit, ME. 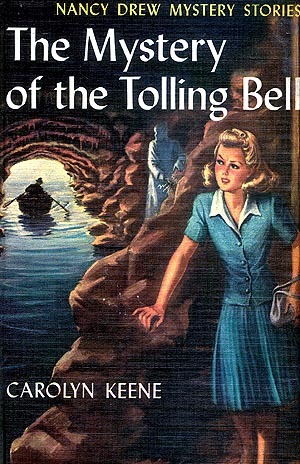 Nancy Drew fans came to Ogunquit, Maine, in the fall of 2017, the more than coincidental inspiration for the setting and town/cove in The Mystery of the Tolling Bell. Members went to a Mon Coeur M&G party where they made heart craft necklaces and their own perfume and cologne scents, did a Nancy Drew clues challenge around the hotel property, got tricks and treats and goody bags, held a vintage book and merchandise event, went on a spooky Friday the 13th ghost tour along the Marginal Way, cruised on the Atlantic for a scenic lighthouse boat tour that took them past Bald Head Cliff from the book, got to M&G with 70s Nancy Drew & Hardy Boys TV Show stars Pamela Sue Martin and Parker Stevenson to celebrate the 40th anniversary of the TV shows and held a mystery dinner at Jonathan's Restaurant complete with a mysterious escape box challenge. April 25 - April 28, 2018: Key West, FL. 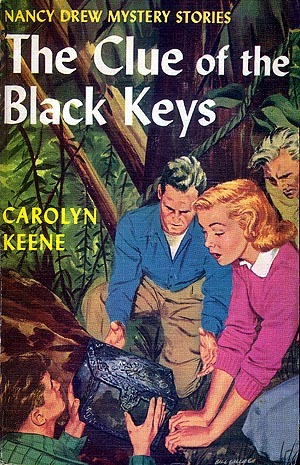 Nancy Drew fans held their 18th annual convention in Key West - our theme books were The Clue of the Black Keys and the Nancy Drew Files book, Sea of Suspicion. Members held a M&G party at the Marriott Beachside resort, went on a spooky interactive ghost tour of Key West, held a Nancy Drew event with merchandise and a visit from the producers of the Nancy Drew Broadway play planned for 2020 and a fantastic sunset sail. An "Amazing Case" treasure hunt for prizes had members searching treasure chests for clues to find the prizes. 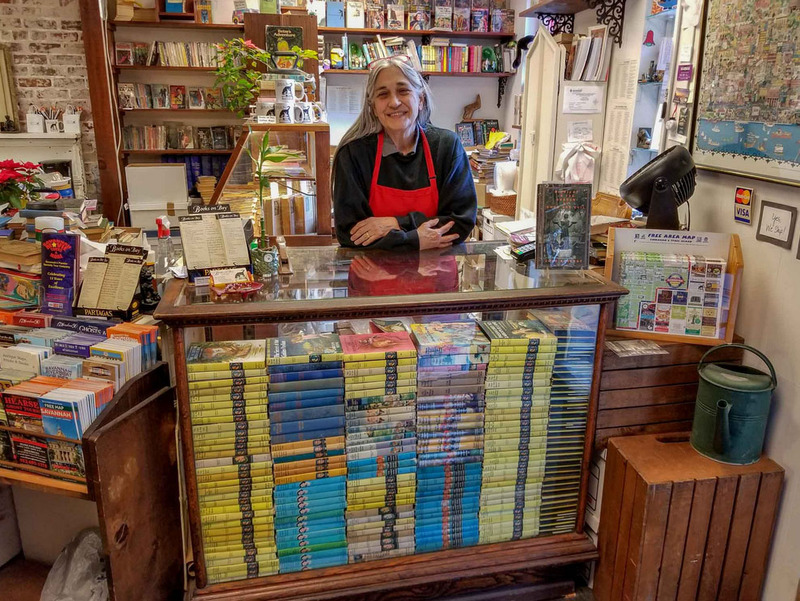 A Nancy Drew event with speakers was held at author Judy Blume's book shop, Books and Books, and then a full set of Nancy Drew books was donated to the Key West Public Library for circulation. The week was capped off by a mystery dinner at Mangoes Restaurant. 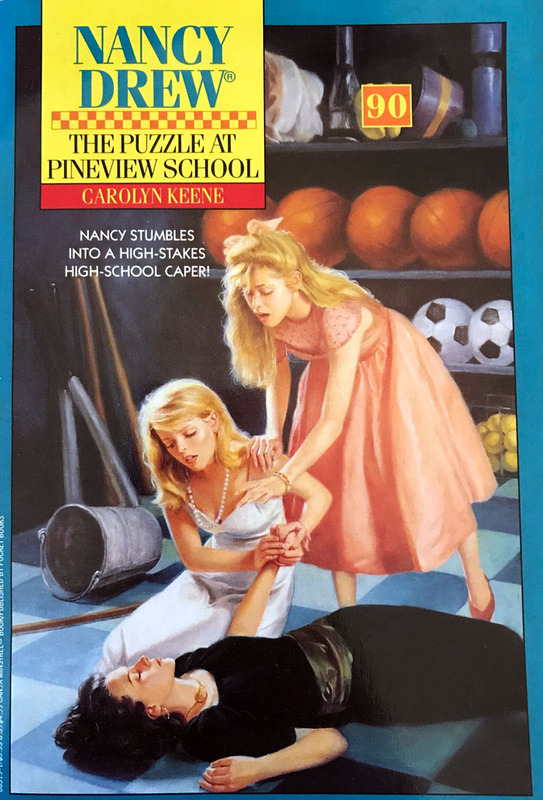 Copyright © 2000-2019 by Nancy Drew Sleuths. All Rights Reserved. Nancy Drew® and the Hardy Boys® are registered trademarks of Simon & Schuster, Inc. All rights reserved. This site is neither affiliated with nor endorsed by Simon & Schuster, Inc. Any of Simon & Schuster's Copyright material appearing on this site complies with fair or acceptable use principles established in U.S. and International copyright law for the purpose of review, study, criticism, or news reporting.